For most clubs, your officer elections for the new Toastmaster year from July 1st, 2018 to June 30th 2019 have taken place. If you haven’t already held your elections, it is now time to get moving. But what do you do with the results? 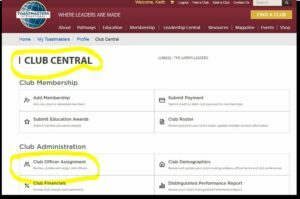 Log in to Club Central at Toastmasters.org and select your club. Just click the drop down box and select your incoming President, VP-Ed, etc. Your club is now ready to start the upcoming year. Final check: Wait 24 – 48 hours and click the link below to see if your club officer list is received. If so, you are done. Usually, this is the Club Secretary’s role, but any current officer can update the list. 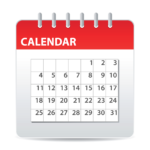 Most Club Presidents will want to check this item before the June 30th deadline. If it is not done yet… Do It NOW! If your club fails to update the list before June 30th, your new officers will not be able to log-in to Club Central or take care of club business. If this happens, you will have to get on the phone with Toastmasters International and it may take days or even weeks to get this updated properly. The easiest way is to follow the steps above and Do It Now. This entry was posted in Club Success Plan, Leadership, Training and tagged Update Officer List. Bookmark the permalink.